Professor William A. Schabas is professor of international law at Middlesex University in London. He is also professor of international human law and human rights at Leiden University, emeritus professor of human rights law at the National University of Ireland Galway and honorary chairman of the Irish Centre for Human Rights, invited visiting scholar at the Paris School of International Affairs (Sciences Politiques), honorary professor at the Chinese Academy of Social Sciences in Beijing, visiting fellow of Kellogg College of the University of Oxford, visiting fellow of Northumbria University, and professeur associé at the Université du Québec à Montréal. Prof. Schabas is a 'door tenant' at the chambers of 9 Bedford Row, in London. Professor Schabas holds BA and MA degrees in history from the University of Toronto and LLB, LLM and LLD degrees from the University of Montreal, as well as honorary doctorates in law from several universities. He is the author of more than twenty books dealing in whole or in part with international human rights law, including: The Universal Declaration of Human Rights: travaux préparatoires (Cambridge: Cambridge University Press, 2013); Unimaginable Atrocities, Justice, Politics and Rights at the War Crimes Tribunals (Oxford: Oxford University Press, 2012), The International Criminal Court: A Commentary on the Rome Statute (Oxford: Oxford University Press, 2010), Introduction to the International Criminal Court (Cambridge: Cambridge University Press, 2011, 4th ed. ), Genocide in International Law (Cambridge: Cambridge University Press, 2nd ed., 2009) and The Abolition of the Death Penalty in International Law (Cambridge, Cambridge University Press, 2003, 3rd ed.). He has also published more than 350 articles in academic journals, principally in the field of international human rights law and international criminal law. His writings have been translated into Russian, German, Spanish, Portuguese, Chinese, Japanese, Arabic, Persian, Turkish, Nepali and Albanian. 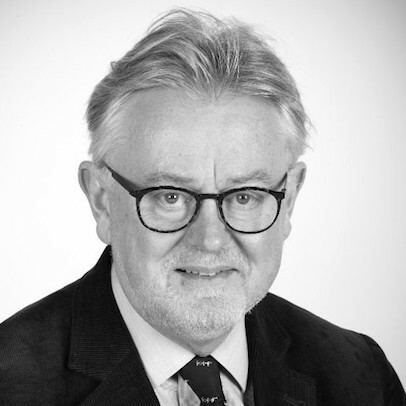 Professor Schabas is editor-in-chief of Criminal Law Forum, the quarterly journal of the International Society for the Reform of Criminal Law.He is President of the Irish Branch of the International Law Association and chair of the International Institute for Criminal Investigation. From 2002 to 2004 he served as one of three international members of the Sierra Leone Truth and Reconciliation Commission. Professor Schabas has worked as a consultant on capital punishment for the United Nations Office of Drugs and Crime, and drafted the 2010 and 2015 reports of the Secretary-General on the status of the death penalty. Professor Schabas was named an Officer of the Order of Canada in 2006. He was elected a member of the Royal Irish Academy in 2007. He has been awarded the Vespasian V. Pella Medal for International Criminal Justice of the Association internationale de droit pénal, and the Gold Medal in the Social Sciences of the Royal Irish Academy. Click here for full CV. LL.D. honoris causa, Dalhousie University, Halifax, Canada, 25 May 2007. LL.D. honoris causa, Case Western Reserve University, Cleveland, 17 May 2009. LL.D. honoris causa, Northwestern University, Chicago, 17 June 2011. The right to truth: when does it begin? Time, justice, and human rights: statutory limitation on the right to truth?